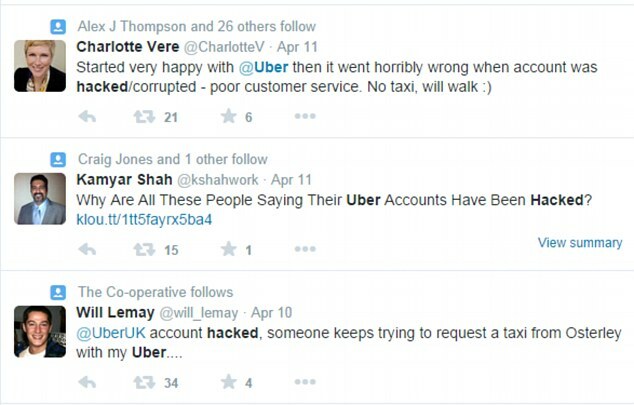 The TV presenter tweeted to Uber ‘account has been hacked nothing to help me on website – this is ridiculous’. Uber still denies that it has been breached – but has promised to reimburse all customers who have been charged for journeys that they did not book or take. 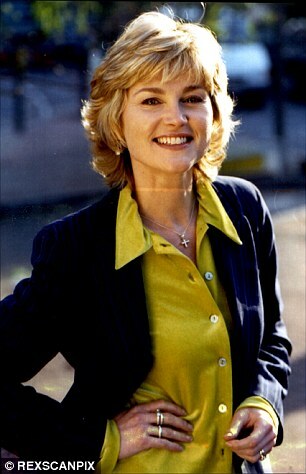 Record producer Mick Crossley told The Standard he had been hit with a bill for £3,000 for 142 journeys. He said he did not receive notification that the journeys had been booked because someone had changed his contact email address on his account as well. Amanda O’Shaughnessy told This is Money she found out that someone was using her account when she started to receive invoices for journeys she had not made. ‘I’ve lost complete trust in the service and it’s for these reasons that I won’t use them again, despite the convenience,’ she said. From this a person could commit wider identity fraud, or sign into other accounts if the username and password is copied across other sites, apps and accounts, if this isn’t the method by which they breached the Uber account in the first place. 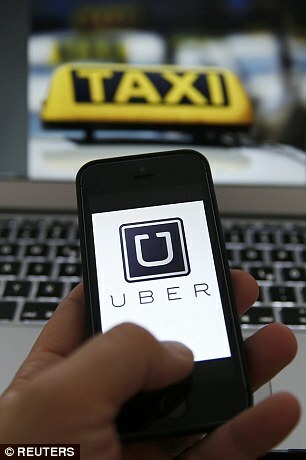 Instead they can email supportuk@uber.com and should receive a response within an hour. A spokesperson for Uber said this method was ‘more efficient’ – particularly since Uber is a global company – and the email account is monitored 24 hours a day. Uber reiterated at the time that it had found ‘no evidence’ of a security breach in its systems.